Gmail to EML Migrator is a versatile program, which offers the users to export Gmail messages to EML with zero error. 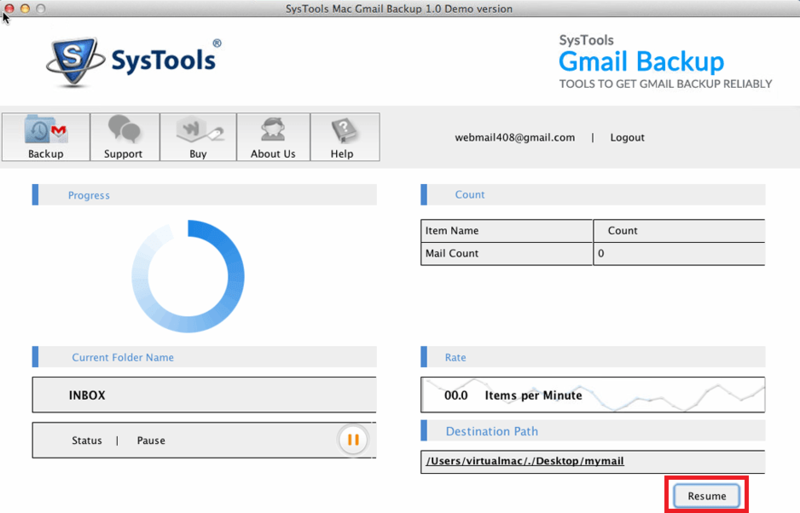 Using this product, it becomes possible for the users to convert single or multiple mailbox from Gmail accounts easily. 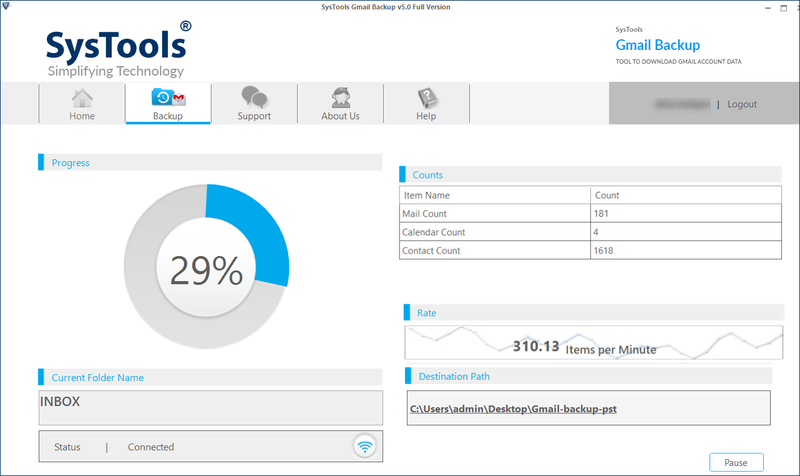 For multiple backup, store all usernames including passwords in the CSV format and afterwards, add to data to program panel. But, during single account migration, details of particular account are required. The program permits all users to download Gmail to EML without any hassle during conversion process. 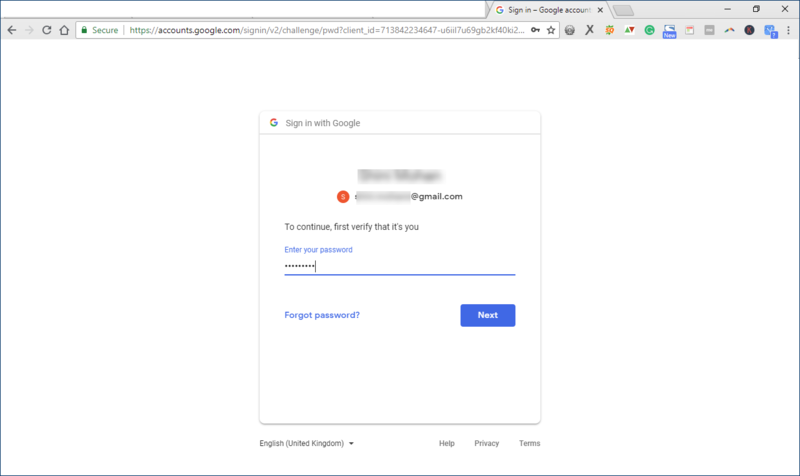 If the users log in account of Gmail via this tool, they are be redirected towards o-authentication. This attribute is very helpful in terms of selecting Accept for permitting program for accessing account that is required to be migrated. Moreover, it gives resultant data in original format as required. Henceforth, it makes the working simple and easier to access subsequent database. For shifting the desired data, users can opt for the Date Filter option that is provided by tool. Sometimes users want to shift only the data falling under a certain date range. In such circumstances, usage of date filters option and import only required data from the Gmail account. Henceforth, the program even puts forth option of folder wise downloading. This alternative is applicable only for shifting the required folder. If the entire transfer process is complete, the software also provides the detailed report of the entire process. The report comprises of necessary details like email count, the number of folders, and many more. In contrary of the completion report, program even manages the entire internet bandwidth. The Users only need to indicate percentage of entire internet bandwidth, which the software needs for transfer process. It is even possible to set the slot of time. Moreover, it is also possible to set a time slot for specific amount of bandwidth. Among all the interesting features, which is present in Gmail to EML Converter, is the alternative for pause and resume conversion process. It inculcates that the users can easily pause and resume the process of migration in between, if the internet connection is not at a proper pace. Moreover, using the tool, entire process can be resumed later from same point from which the whole process has been stopped. Also, the software keeps the important data safe & secure while the completion of procedure. It is one the best and remarkable property added in the program. According to this, the users can easily access tool in the desired or preferred language. The Gmail to EML Converter allows the users for selecting the desired language in which the users are completely comfortable besides English and like the French, Japanese, Spanish, Dutch, and Portuguese. It has a very simple interface to work in. Moreover, the software maintains the account history as well. This is useful in case of sudden shutdown due to loss of internet connection. Is it possible to Gmail import to EML using this Converter Software? 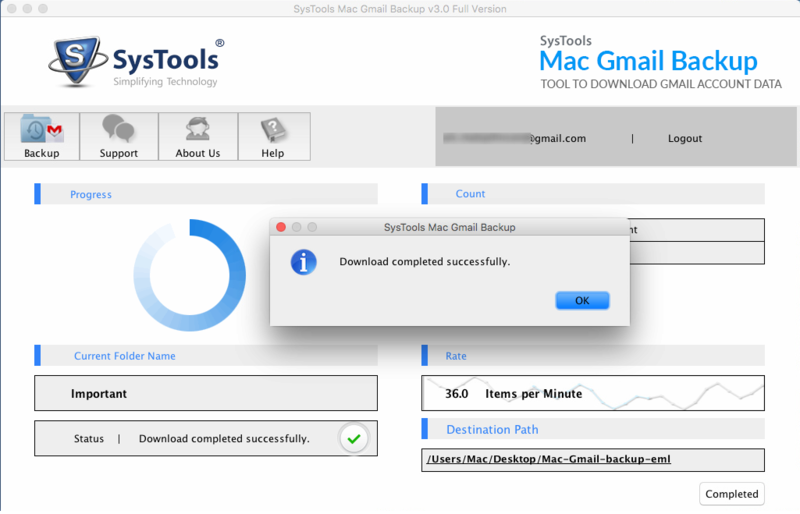 Yes, the tool is able to convert entire Gmail data to EML with no issues. Instead of it, the program even provides the users with option to save the files at desired location. Is it possible to export Gmail Messages to EML using the converter tool? 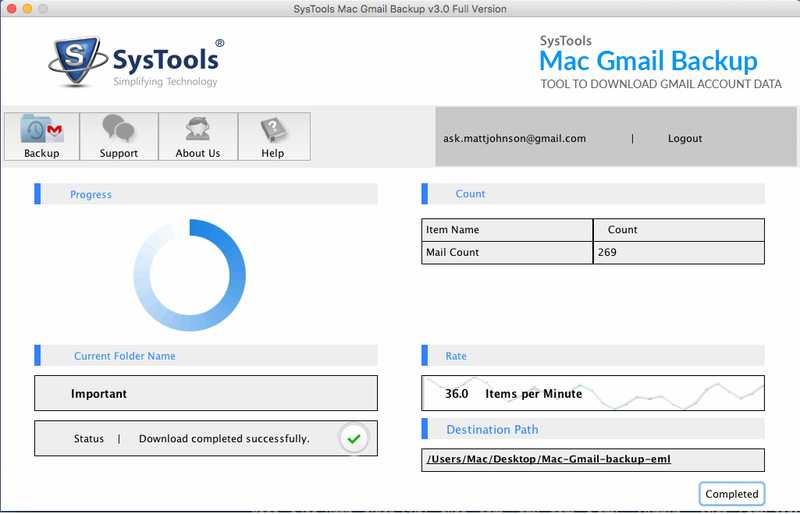 Yes, the tool provides the option of export Gmail Emails/ Messages to EML. Using this alternative, users can easily perform the conversion of files and its messages. Is the Gmail to EML converter Wizard able to cover up Corrupted Emails too? No, via this utility you cannot convert the corrupted files from Gmail to EML. The tool has only this flaw present in it. Is the software capable to preview Gmail mails with attachments? Moreover, is it compatible with all Windows Operating Systems? No, the tool does not generate an instant preview of the Gmail Mails and it is easily operable on all the Windows OS. Download the entire setup of the software on your local machine and then install it. If you are done with the downloading portion, mark double-click on the icon of product displayed on your screen and open it. View the successful message and hit on OK button. "I haven’t ever come across such a brilliant utility that easily solves my purpose. Earlier i thought it is very difficult to convert Gmail messages to EML. Then one day i came across Gmail to EML Converter tool. The tool served my purpose. Thanks developers! for such a wonderful product." "I am seriously thankful to product for helping me out in my lean patch. I had so many Gmail files that were required to be exported in EML as per client’s requirement. I was all confused how to do this. Then one day, one of my friends told me regarding Gmail to EML Converter tool. The tool served my purpose. Thank you developers! you guys are just brilliant." 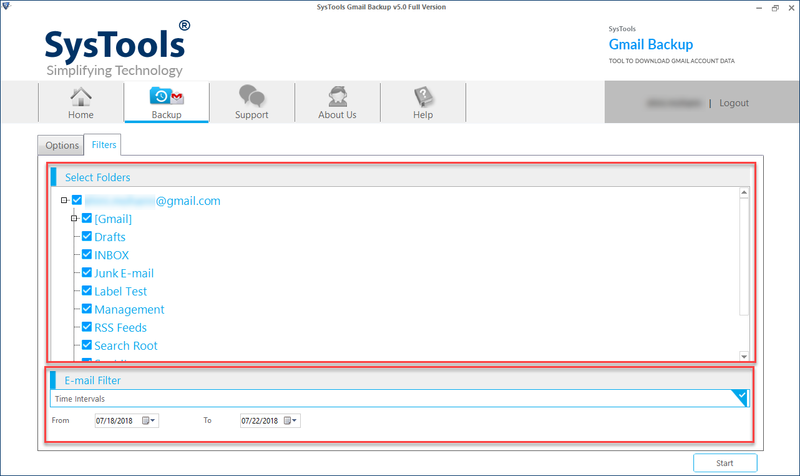 The software permits users to save messages of Gmail account in .eml file format. An individual needs to share credentials of his / her account for carrying out the desired conversion procedure. Mac Gmail to EML migrator preserves meta components like Cc, Bcc, Date, Body, etc., of Gmail messages. Not even a single data is manipulated by our software at the time of exporting emails. The tool is programmed with a set of algorithms, which extracts and exports messages with their attachments. It keeps the attachment file format intact throughout the migration process. 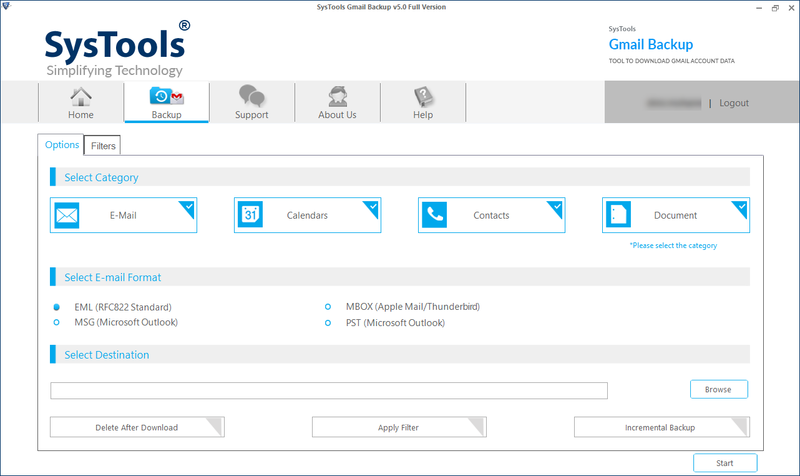 Mac Gmail to EML converter is capable of working in absence of any email client installation. 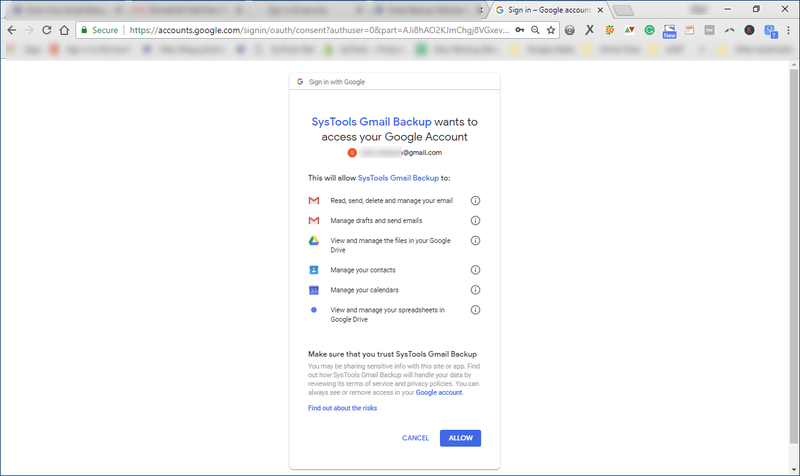 It just requires Gmail credentials and internet connection to convert Gmail email into EML format. 1. 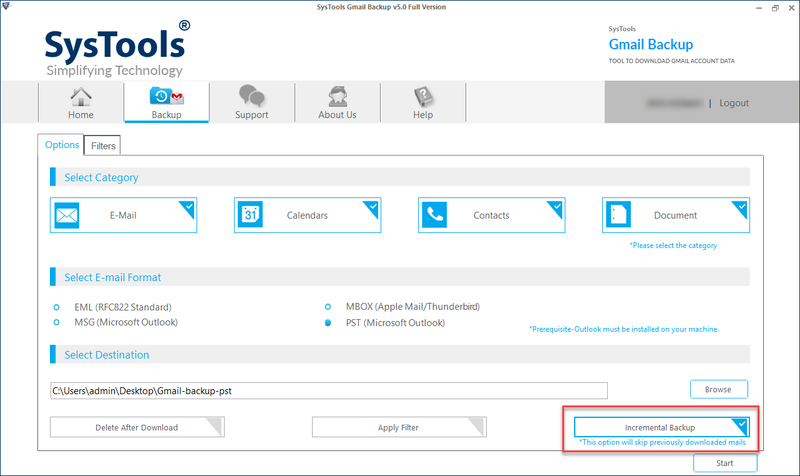 Folder Selection : Select only those Gmail email folders whose messages are to be saved in .eml format. 2. 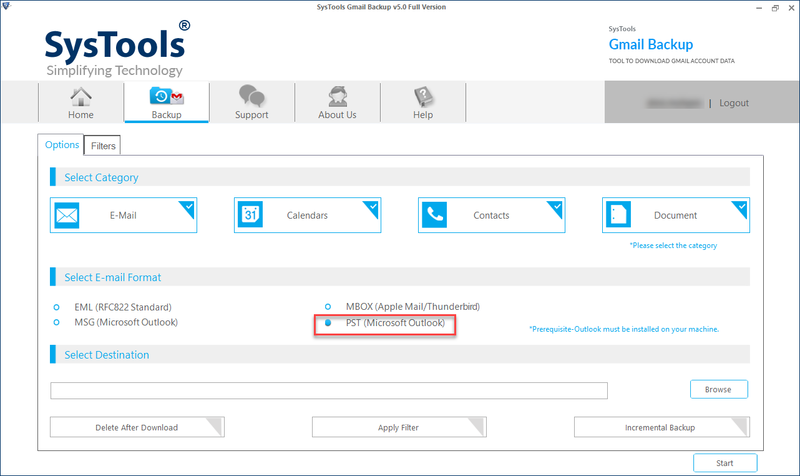 Time Interval : Mention the time duration of specific period for emails that are to be transferred in EML messages. 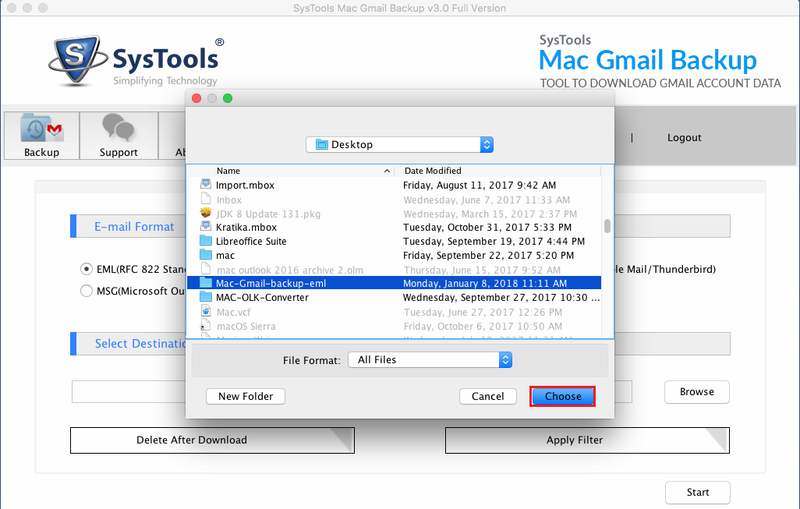 Mac Gmail to EML file converter displays a windows in which users can see live status of email saving procedure. Attributes like progress cycle, current folder name, internet connection status, etc., all will be loaded on this wizard. What is the function of Pause and Resume button provided on the progress wizard? This feature is provided to interrupt the procedure in between due to one or the another reason. Instead of starting from begin, you can resume the process from where it was stopped. 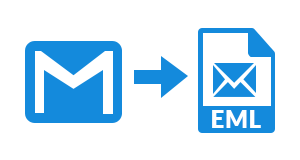 Does your software export messages from Gmail account to EML with attachments, as well? Yes, the advance set of algorithms is imposed in our software converts emails with their attachments. 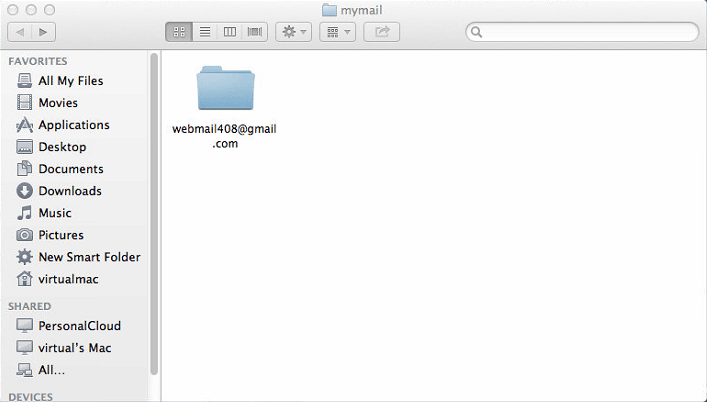 Is it possible to export emails of only one Gmail folder to EML via this utility? 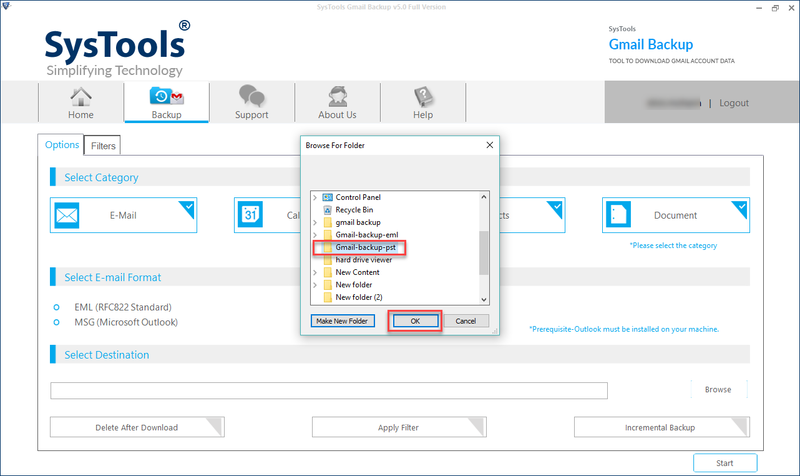 Yes, by using filtering feature, you can choose only that folder whose emails are to be moved in EML file. How much time will your converter require to save Gmail emails in EML format? The time duration is totally dependent upon the amount of data to be downloaded. It is also dependent on the speed of internet. Well, the software tries to finish up the procedure in shortest time period. 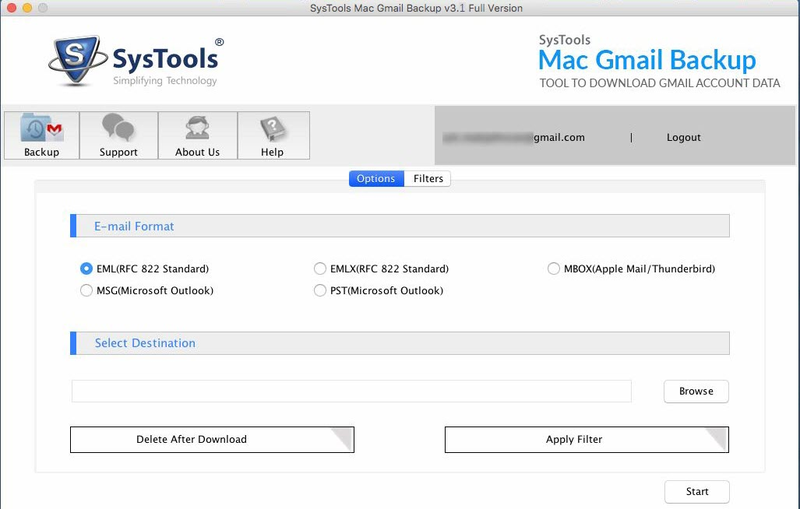 Will your Mac Gmail to EML Converter tool work on Windows operating system machine? No, this tool is not applicable for Windows OS users. You have to opt for Windows Gmail File to EML Converter to work with our tool on Windows 10 and all below versions. 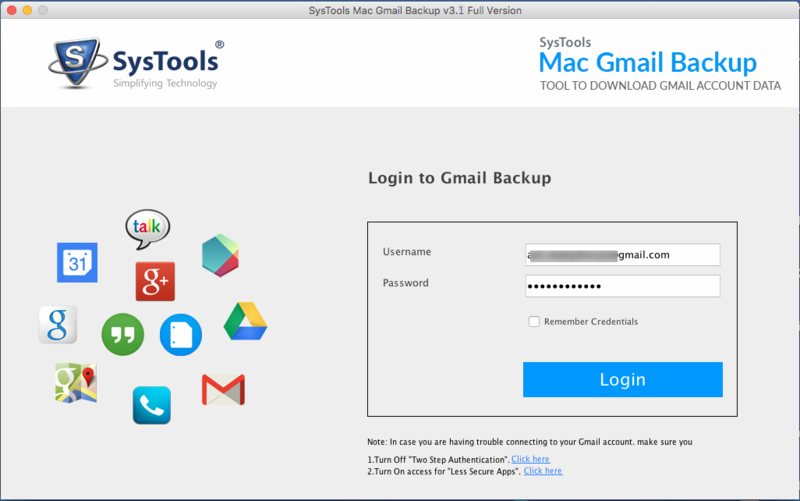 Install Mac Gmail Email to EML Exporter Software on Apple Machine and login with your gmail credentials and hit on Login button. Click on Brows button and provide the location to save resultant file on mac machine. You can also create new folder by clicking on New Folder option. If you want to deleted emails after successful conversion. Click on Delete After Download button and then Yes from pop up window. Select required folders before proceeding for conversion process. It can be done by simply Checking and Un-ckecking the folders or by providing Date Range. View Mac Gmail export progress details like current folder name, rate of download and items etc. If you want to stop downloading process simply click on Pause button. 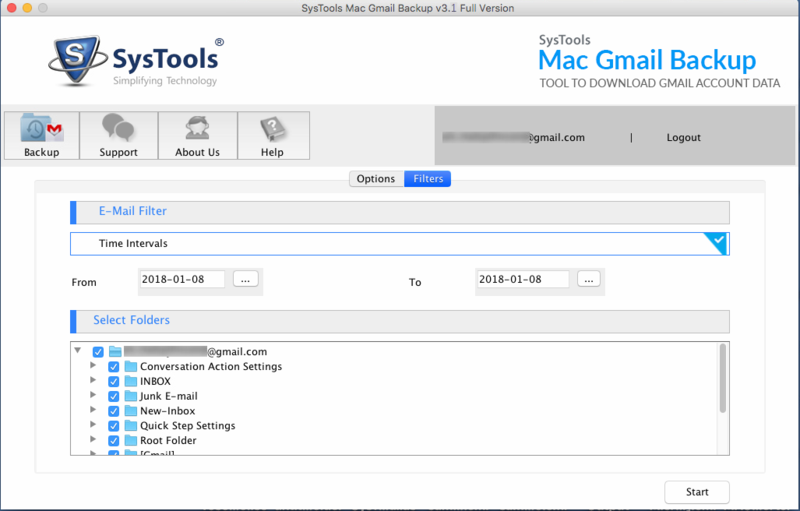 To restart stopped mac os gmail export process click on Resume button. 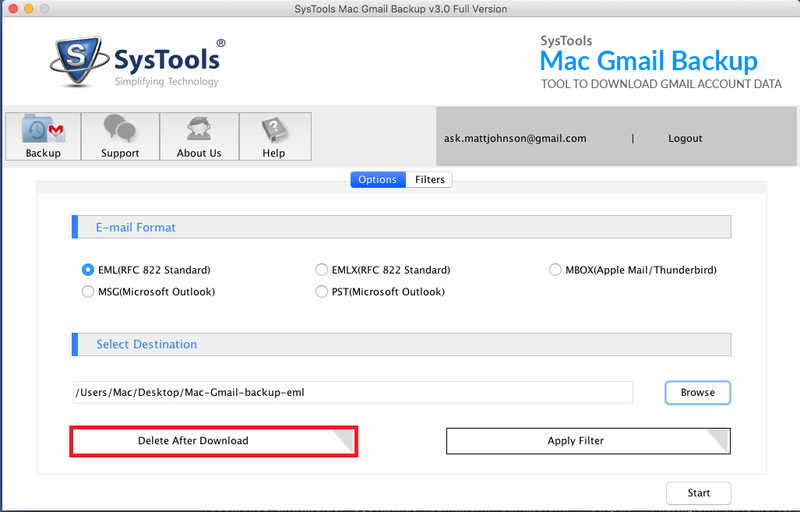 Once the mac gmail to eml migration process successfully completed, a pop windows will appear with Download Completed Successfully message. Simply click on OK button. Now navigate to the provides destination location and view entire exported emails on mac os machine. "There are several applications available in the internet market for Mac Gmail To EML Converter. But, the only suitable one is this. I am stating such sentences because the product rendered here is extremely amazing. 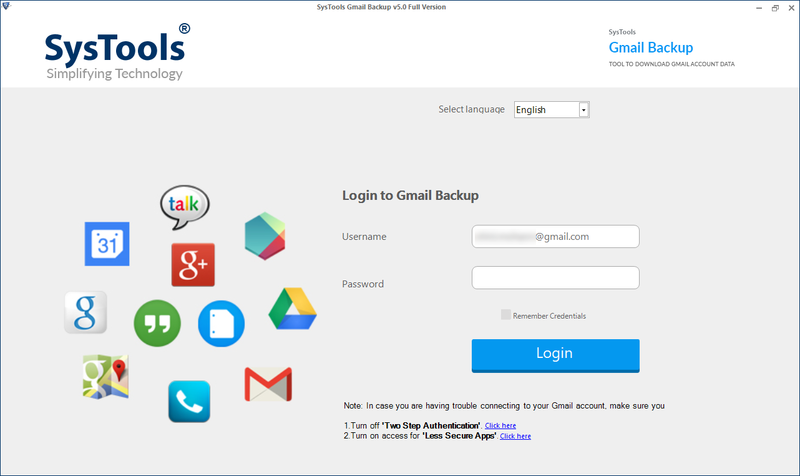 It rapidly extracts messages from Gmail account and save them in .eml extension." "It was difficult for me to export Gmail emails to EML format on Mac OS. Many of my friends were recommending the products but, for Windows OS but, not Mac. Meanwhile, I discovered this software that was extremely amazing in working. What I like the most about this product is the graphical user interface."